These DEWALT knee pads are intended for knee protection against different knee injuries during carpeting, concreting, tiling, flooring, gardening and construction. As we all know, constant work on knees, if they are defenseless, can cause not only bruises and scratches, but even fatigue or inflammation of knee joints structures. 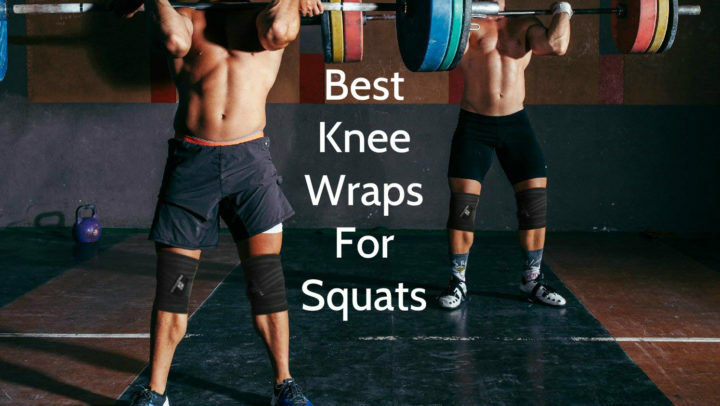 Permanent pressure and irritation of knees can cause more serious knee diseases as tendonitis or bursitis as well, therefore wearing of knee pads is necessity. These DEWALT knee pads have non-skid caps, therefore, you can work on any flooring and surface, feeling stable and safe without worrying to slip. 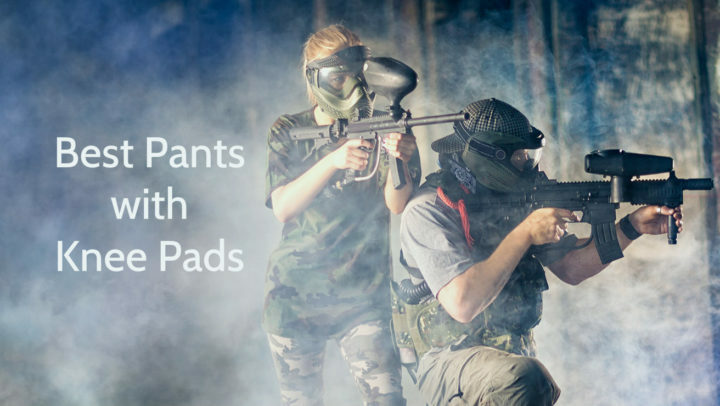 As these knee pads are partly made of ballistic poly material and their caps are made of heavy-duty material, they are durable and defensive, therefore, they are perfectly appropriate for working in any conditions. Another feature which is ensuring their longevity is an extra stitching around all seams. This product also has upper tabs for easier repositioning on knees. Layered gel over polyethylene foam padding ensures better conformation and thus support and comfort. One more thing which provides superior comfort and protection in any working position is inner liner which is made of neoprene fabric and which surrounds kneecaps. These working knee pads are equipped with slip-buckle fastener system and adjustable straps, therefore, they are adjustable for individual size, providing better conformation and stability. These DEWALT knee pads have heavy-duty clips, so they are safer and easier to put on. These DEWALT knee pads are mostly black, but they have yellow accents as well. It should be mentioned that these two colors are DEWALT brand colors – all production is colored black and yellow. They have bigger and smaller adjustable straps with clips and Velcro closures. This DEWALT product is made of ballistic poly material, neoprene, layered gel and polyethylene foam. Their caps are colored yellow and black, but other elements are just black. This product is available only in one size, but at the same time it has adjustable straps, therefore, it is adaptable to almost any knee size without loosing protective functions and other features. These DEWALT DG5204 Professional Knee Pads are intended for knee protection during works such as carpeting, concreting, tiling, flooring, gardening and construction to prevent knee damages. This product is made by using ballistic poly material, neoprene, layered gel and polyethylene foam. Their dimensions are 9.3” x 14.3” x 3.3” and their weight is 2.3 pounds. 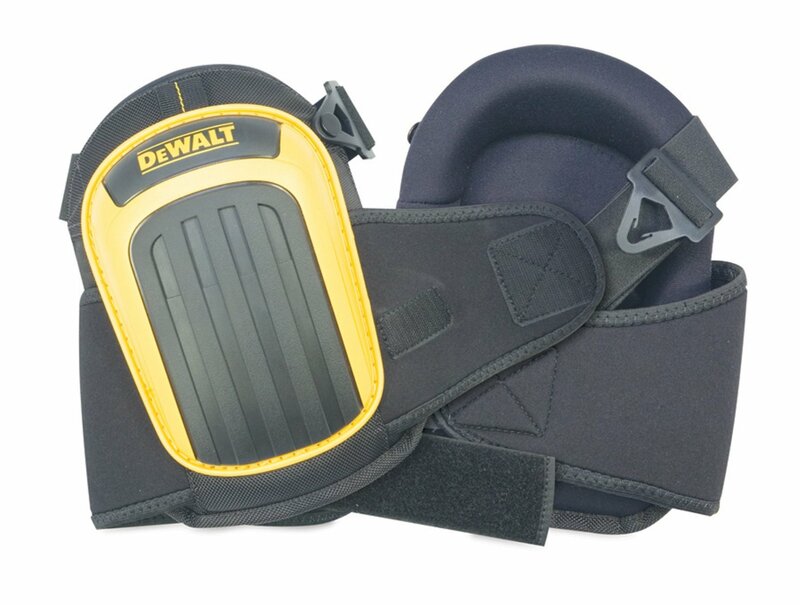 These DEWALT knee pads are available only in black color, but they also have yellow accents. As these pads have adjustable straps they are suitable both for adults and youngsters. This DEWALT product has many different features, for example, ballistic poly material, non-skid and heavy-duty caps, upper tabs, layered gel cushioning, neoprene liner, slip-buckle fastener system with adjustable straps, secure clips and extra stitching. It can be washed in washing machine and usually it is sold in pairs.